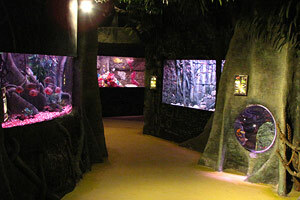 The Amazonian Displays are made up of 7 different tanks based on the inhabitants of the River Amazon. The Amazon is the second longest river in the world (the Nile being the longest), however the Amazon has by far the greatest total flow of any river and the largest drainage area. The Amazon and its tributaries flow through the Countries of Peru, Bolivia, Venezuela, Colombia, Ecuador and Brazil before emptying into the Atlantic Ocean. The mouth of the Amazon River at the Atlantic Ocean is over 200 miles wide. 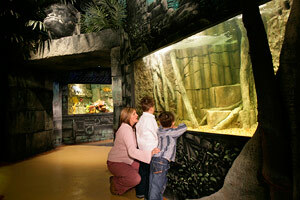 The largest Amazonian species we have on display are the Tiger Shovelnose Catfish and Pacu and Oscar Cichlids. We also have Deadly Piranhas on display, the Piranhas teeth are razor sharp like the edge of a saw. 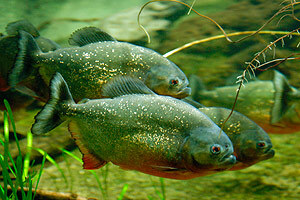 They are attracted to blood so injured animals or fish are often attacked by shoals of piranha. Large shoals of piranhas can strip a cow to the bone within a few hours. 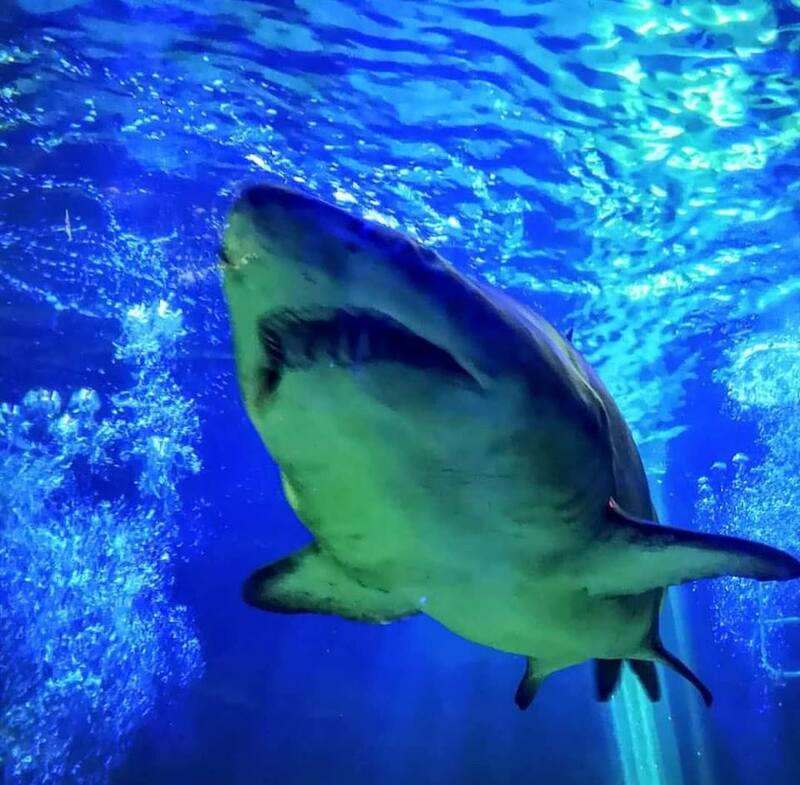 The Shark Tank is the largest tank in the aquarium which holds over 150,000 gallons of water, it represents deeper areas of coral reef which are home to a variety of sizes of fish and mammals. 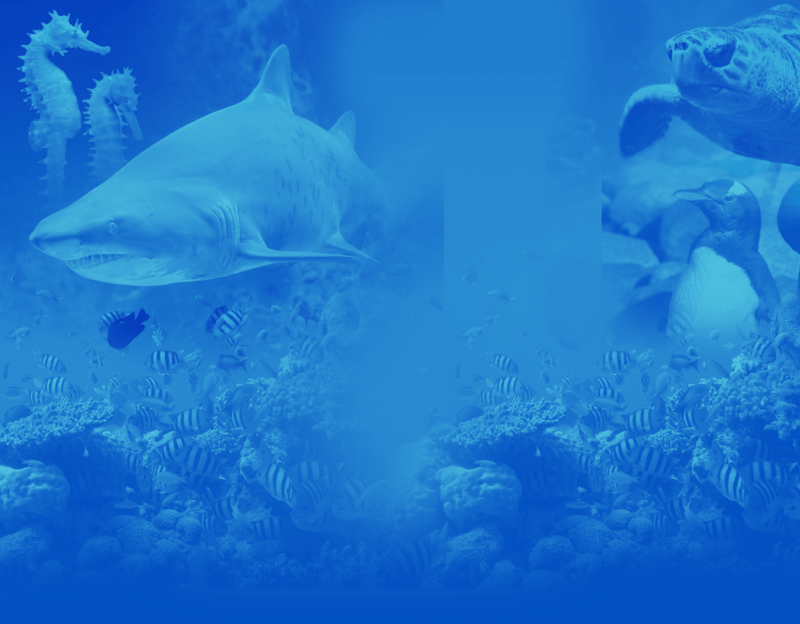 There are three species of shark in the tank, from the Indo-pacific Oceans and the coast of Australia. The smaller species are the black-tip reef shark and the white-tip reef sharks. The largest and most fearsome sharks are The Sand Tiger shark, these can grow up to 3 metres and weigh between 100-150kg. There are two species of ray in the tank, the Common Stingray (which can grow up to 60cm) and the Southern Stingray (up to 2 metres). Both rays have a venomous barb in their tail but they are not aggressive fish and are only likely to sting humans if they are stepped on or startled. 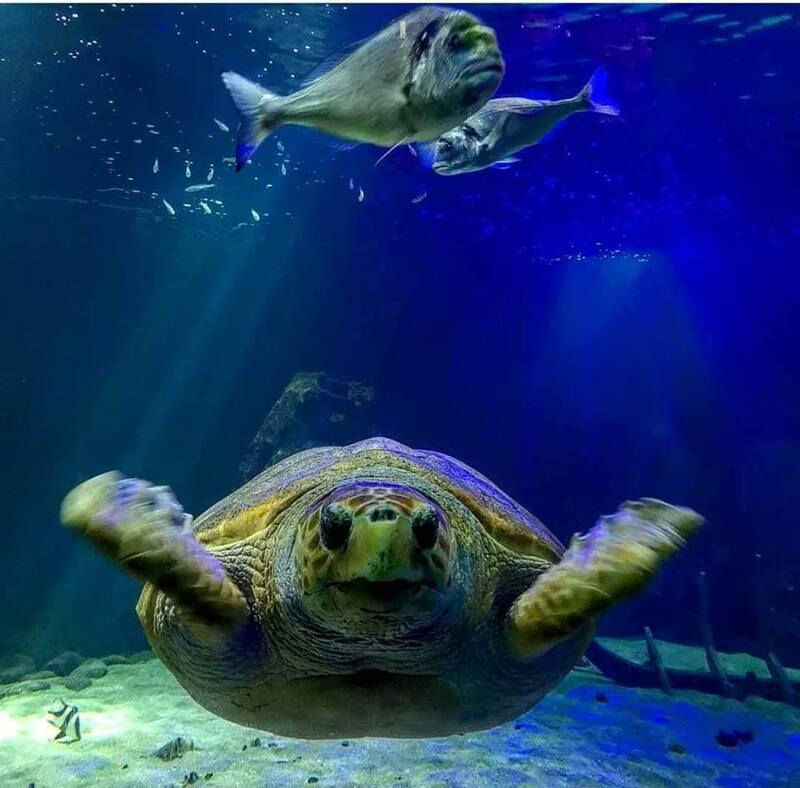 At Dingle Oceanworld we have successfully rehabilitated and released six Loggerhead turtles. Molly being our seventh. 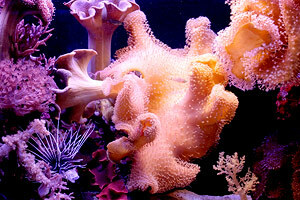 Adults Loggerheads can weigh up to 180 kg and grow to over 1m long. Turtles have lived on the planet for over 150million years are the Loggerhead turtle is now an endangered species, this is largely due to the development of nesting beaches for tourism, disturbance of beaches by human activities such as cleaning, driving, and artificial lighting; collecting eggs; destructive fishing practices; pollution; and the dumping of rubbish into the ocean. Probably the most popular resident in the Tropical Marine tanks is the Clown fish, although most children know him as ‘Nemo’. Another character from the film ‘Finding Nemo’ is ‘Dory’ the Sapphire Devil. These fish are from the Indo-Pacific Ocean, the temperature of the tank is around 25- 26 degrees most of the coral reefs are in these oceans. 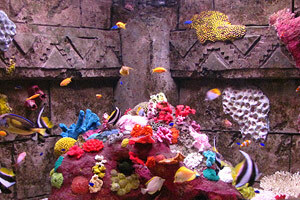 Other friends from Nemo are “Bubbles” the yellow Tang, the Longnose Butterflyfish, the Cowfish and several Damselfish. 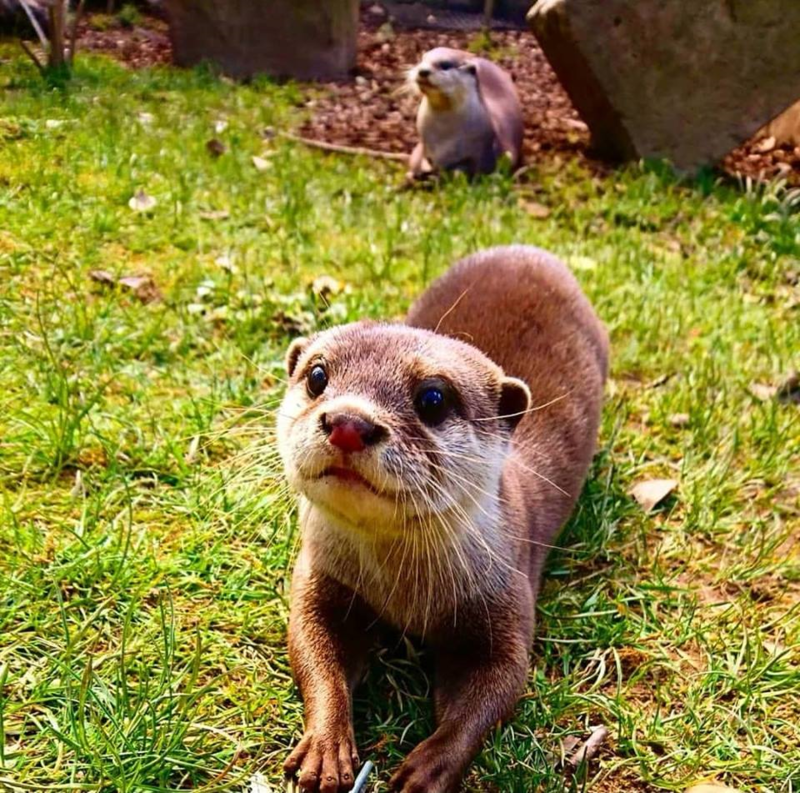 These are the smallest of the 13 species of Otters, they grow to about 8 to 12 inch tall and can weigh up to 5kg. They live on both land and water. They live mainly in Indonesia, China, India, Philppines, Asia, Bangladesh and Thailand. Current population trend: decreasing but the population isn’t severely fragmented. 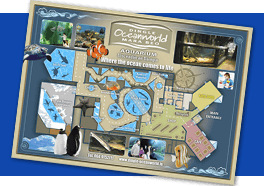 We have 14 Gentoo Penguins in our state-of-the-art enclosure that mimics their natural habitat with cooled air and ice. 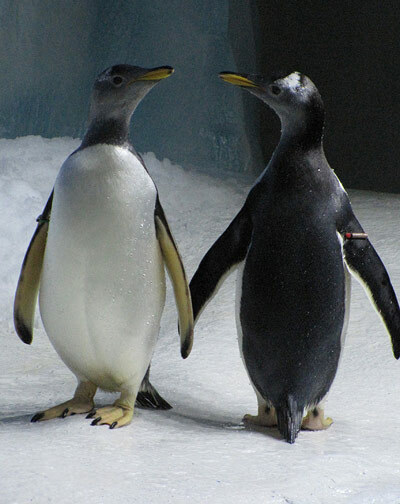 Gentoo Penguins are the 3rd largest and can weigh up to 5.5kg and measure 30 inches. They live in colonies in the Antarctic Peninsula. They are the fastest swimming bird and can reach speeds of 36km, they can dive to 200m and stay underwater for 7 minutes. On land, adults do not have many predators. At sea though, they are predated upon by leopard seals, sea lions and killer whales. All penguins moult once a year, prior to their moult they feed a lot and can double their weight. This is because during the moult they fast, as they can not go to sea. The residents of our touch pool can all be found close to the shore locally. Thornback rays are the most friendly and inquisitive species in the tank and like to be stroked along their ‘wings’ The lesser spotted or rough hound dogfish is the most common shark found in European waters. Other flatfish found in the Touch Tank are turbot, halibut, plaice and flounder. 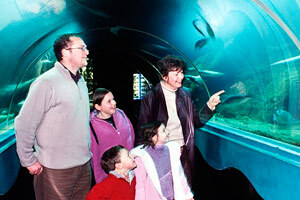 The Species of fish in this tank can be found in lakes and rivers around Ireland. 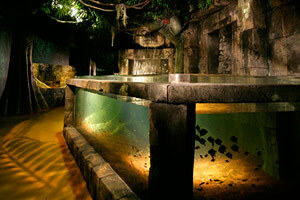 The type of fish in this tank are Artic Char, Brown Trout and Pike. The Ocean Tunnel tank gives the visitor a new perspective on life under the water as you see the fish swimming or resting above you. Here you will see Lobsters, Spider Crabs, Dogfish often resting on the glass above you, Mullet, Plaice, Stingrays, Undulate Rays, Wreckfish and Conger Eels.